April | 2013 | 365 days of letters, notes, and written words. I was honored on Tuesday to be asked to be on a patient panel speaking to a pharmaceutical company developing the next generation of Crohn’s disease medication. This company had never created a Crohn’s med before- they had no idea what Crohn’s was or what patients experienced. We were able to share pieces of our stories and answer questions. I was asked to be a part of it because of the nature of the medication that I’m currently on, and because I’ve experienced every other medication out there. There were four other people on the panel, and I’d been on all four of their current medications, plus had a more intense and permanent surgical procedure, plus was diagnosed at least ten years younger than any of them had been. Remission, to me, means that I’m able to live. I’m able to take care of myself and grow my friendships and go to work in the morning. I’m able to eat food and not throw it up and have enough energy to get out of bed. I can get through the day without excruciating stomach pains that make me double over, or without feeling like I’m going to pass out with dehydration. Remission means not being jealous of people in a hospital, or feeling afraid to be home alone. Remission means that my personality is allowed to shine, that my brain functions normally, that I can be me. Thinking about how blessed I am in this season of my life to be in remission almost made me break down. My health has always been up and down- I’m rarely in remission for over a year at a time, but this stretch is longer and more stable than I’ve been in years. What an incredible praise. 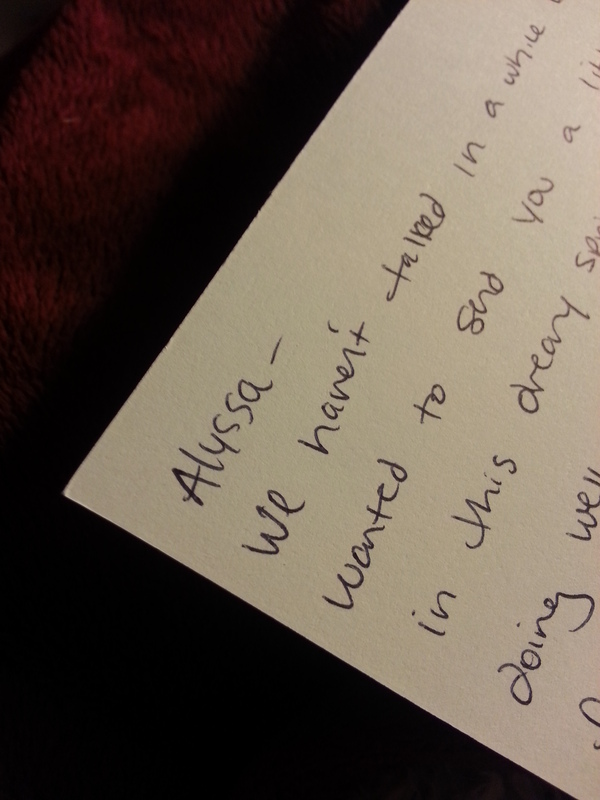 This letter is to Alyssa, my partner in Crohn’s. She’s experienced what I have and more, and fights through this all every day. I pray that she soon has this peace in her life as well. Sarah and I met in college. She is the kind of person that brings word associations to mind. When I think of her, I think of Shauna Niequist, junior high, books, Vera Bradley, friendship bracelets, and letters. 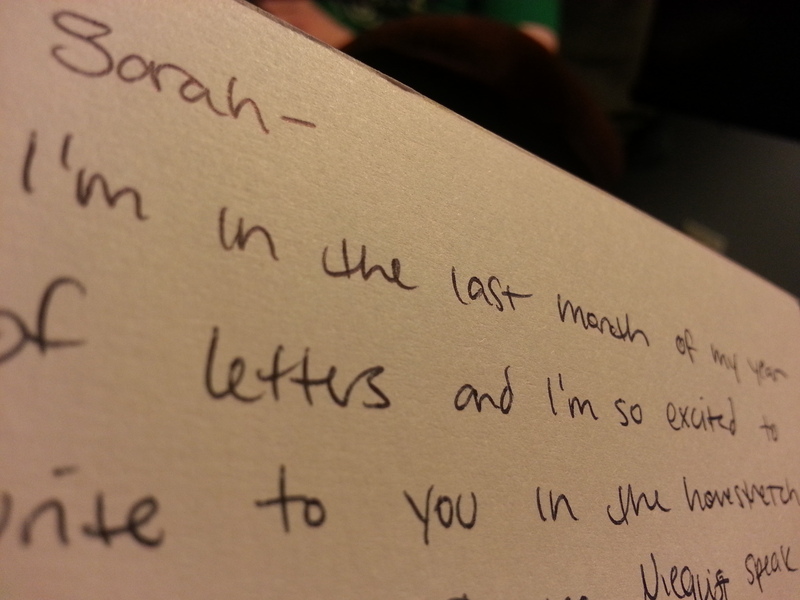 Sarah helped give me the inspiration to write these letters in the first place. Her blog is full of celebration of small moments and joy and photos of people smiling till it hurts. I love hearing about her friend dates and having a window into her life’s adventure. I want to celebrate Sarah today in this letter, to show her how much she still means to me and inspires me to be intentional with people. To beautiful Sarah. are my great uncle and aunt. I missed years of knowing them on a personal level. I got occasional letters in the mail, written in cursive that I needed help reading, but I didn’t make much of an effort until the past year or so. When my grandma got sick, Lois was a huge presence in my life, sending me love and encouragement and sharing my sadness. At the funeral she was the only person I looked forward to seeing and seeing her made me burst into tears. I found out later that Tom is a huge science fiction fan and the two of them have such a unique sense of humor and positive, healthy, inspiring relationship. I’m lucky to know them, to have them in my life, and to have realized it in time to build that relationship. 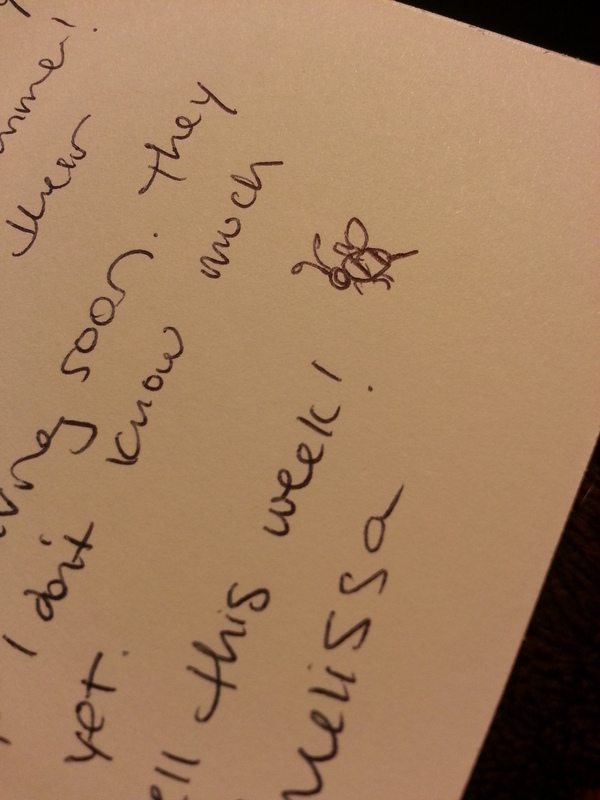 A letter to my favorite pen pals. Moving into college freshman year was one of the most terrifying things I’ve ever experienced. The first several weeks were filled with me and my roommate trying to avoid each other, both too nervous and too awkward to try very hard. Now, something like 8 years later (so, so long!) I’m writing her a letter. I’m keeping in touch with someone I didn’t know how to talk to initially, almost a decade after we met, while living in different states. Time is a funny thing. So much changes, so much of it so slowly we barely notice. This was one of those letters that I actually wrote a while ago and its photo has languished in the drafts folder instead of being posted. I want to focus, in the end of the challenge, on each individual who deserves a letter. Each person that has touched my life, no matter how small. This one goes to Ryan. Although Ryan hasn’t been around for too long yet, he manages to make life more interesting. And for that I am grateful. These three letters are for my fantastic sixth grade girls. I have been so blessed to have these kids in my life every week. I get the chance to mentor them and spend time with them and laugh and cry with them and share their lives at such a tricky period. 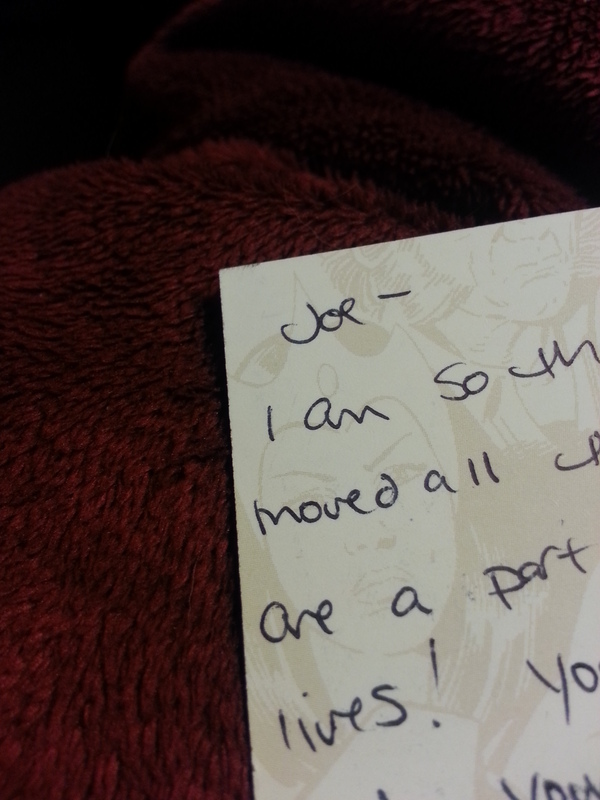 It is a huge honor to be allowed into the inner sanctum when your whole world is changing. 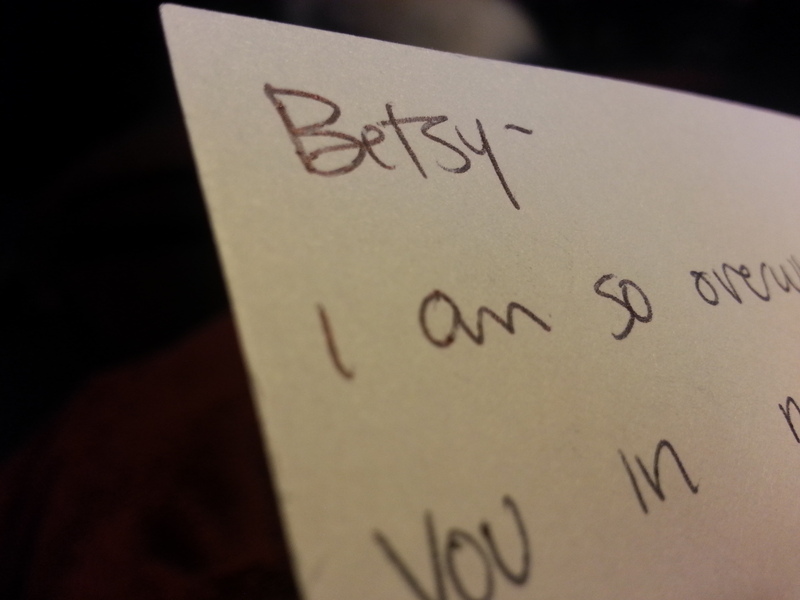 Three letters to three girls who mean an awful lot to me. 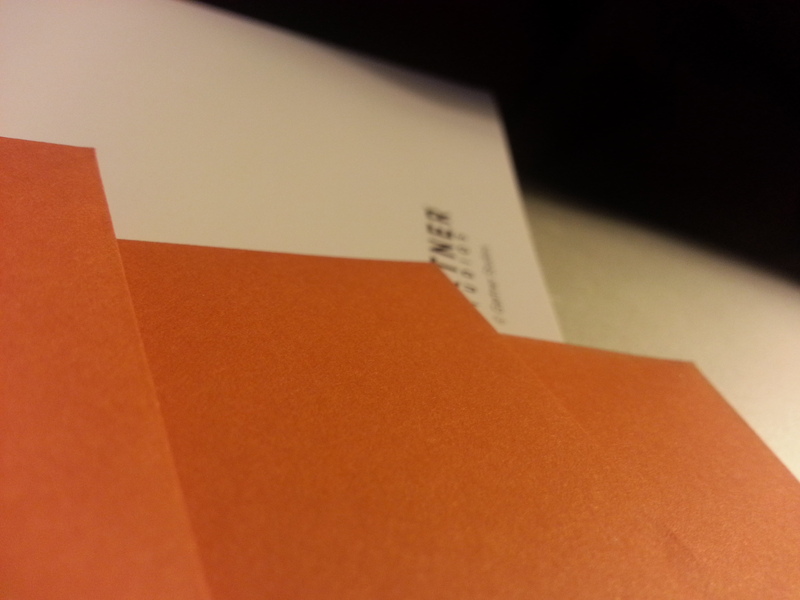 THIS IS MY FIRST INTERNATIONAL LETTER. Yes!! I am so pumped to be mailing this out of the country… all the way to Canada! Hah! Now though I need to make time to get to the post office because I have no idea how to approach stamps for this particular letter. Dave and I worked together for several summers in a claustrophobic room sorting through mail and checks and fielding phone calls from enraged residents. If that isn’t a recipe for bonding I don’t know what is. My favorite thing about working with Dave was how he pronounced pasta like a Canadian and how we once all had a picnic outside for lunch and he brought Caesar salad with homemade Caesar dressing that he was understandably proud of. I love that even though he was a giant and intimidating in many ways (definitely a football player) he took the time to get to know all of us working together and made an effort to seriously bond. 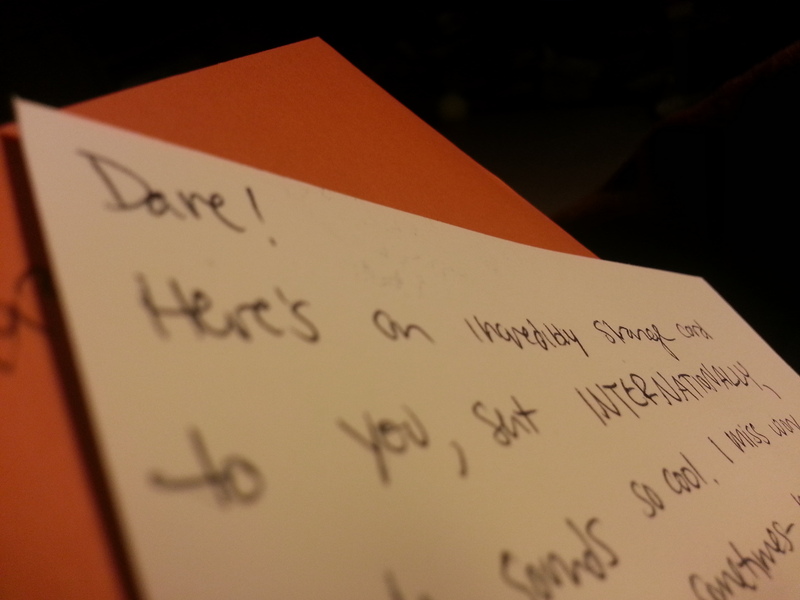 So a letter to Dave- thanks for teaching me that coworkers can also be friends. 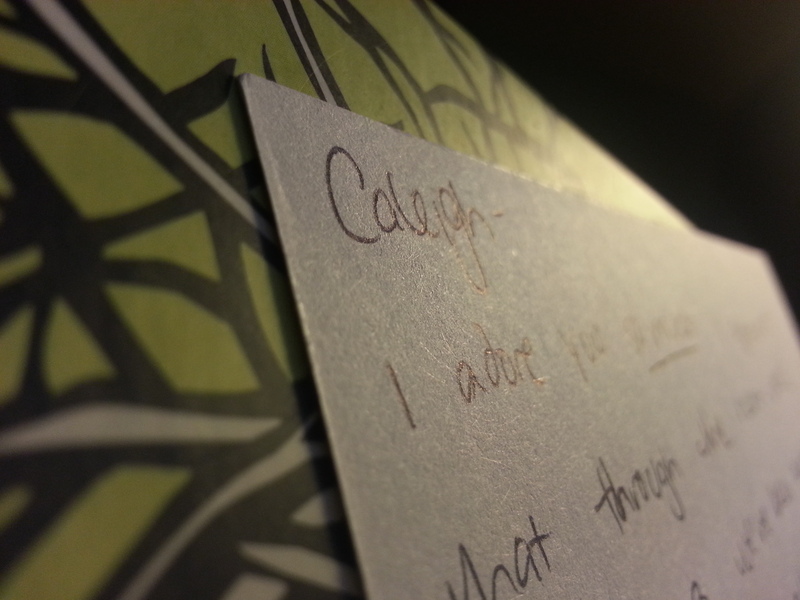 In my last month of letters, a letter to Caleigh. 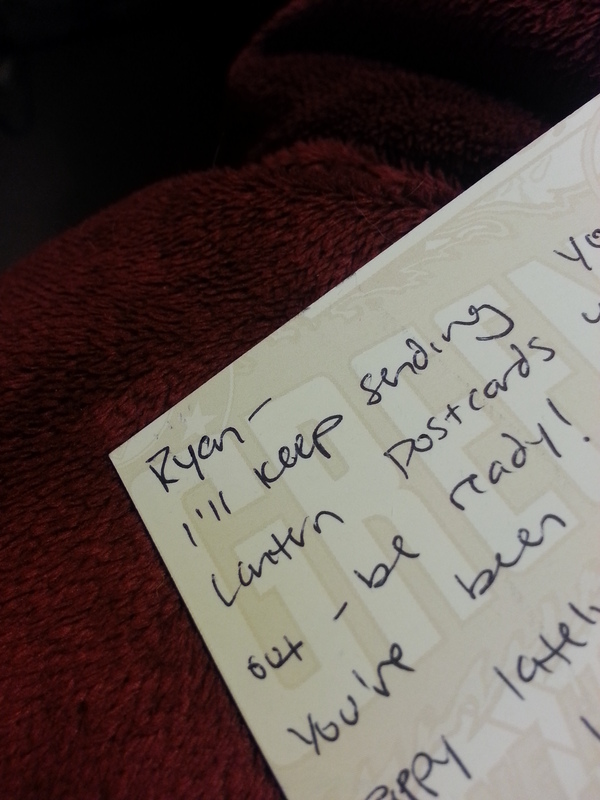 I think Caleigh is the most excited to receive letters of anyone I know. She’s a faithful reader and friend and encourages me to keep going in my challenges, even when I’m behind and worn out (like… now). I am so blessed to have Caleigh as a friend in my life to answer phone calls, text messages, and of course, good old-fashioned letters. Joe is new to my church and my state. He swept into everyone’s lives quietly but has managed to make a big impact already. I’m impressed with how Joe has given his time and energy to be a significant part of people’s lives. I’m impressed with his wisdom and advice and in his willingness to be present. I appreciate Betsy for millions of reasons. I appreciate her honesty, her heart, and her humor. I like the way she sort of poses when she makes a joke and waits for people to laugh and how she pulls off neon-orange shoes. A letter to Betsy, who makes life more colorful and wonderful every day.